Forestry is Good for the Economy! 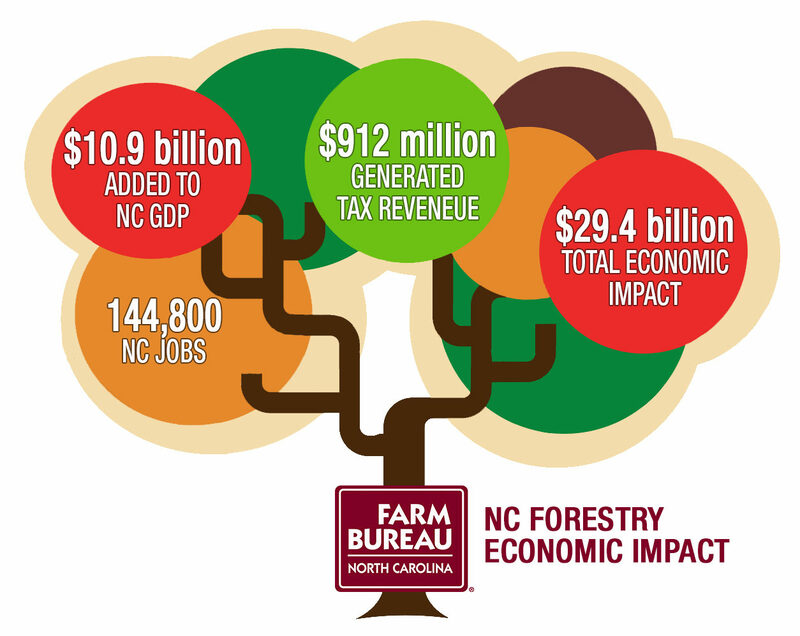 The forestry sector plays a significant role in the economic stability of North Carolina. Take a look for yourself. Currently, North Carolina is home to 18.6 million acres of forest—that’s about 60% of the state. Some of you might be thinking “that’s a lot, but I wonder what that number was 40 years ago.” North Carolina actually grows more trees than are harvested, which has increased the state’s timber inventory by 45% since 1974. Digging a little deeper, North Carolina’s timberlands are growing 50% more softwood and 100% more hardwood than we are currently harvesting. Contrary to popular belief, clearcutting can be an effective management tool for both foresters and wildlife managers. In fact, habitat diversity (open areas, large timber, and vegetation) is essential to many wildlife species. For example, for rabbits, clearcutting can provide an abundance of food plants and brushy conditions for nesting and cover. With the proper use of clearcutting, you can maintain this diversity that provides many positive benefits for game. Forests are extremely effective for maintenance of water quality because they serve as natural sponges, filtering rainfall from the forest and adjoining non-forested areas, and then releasing it slowly into streams and watersheds. However, for a forest to sustain its ability to protect water quality, management is required. That’s why experts in forestry management developed Best Management Practices (BMPs) for the forestry sector.